The PinkTree Company is home to a definitive lifestyle and speaks to individuals who value quality, creativity and a distinctly refined taste. The label was founded by Mohsin Sayeed and his three friends in 2011. It is an all encompassing brand that aims to cover all aspects of our wardrobe. The brand was launched with four unique lines; The Pencil Sketch, Jamun, Regalia and Sweet Peas in 2011. The latest Spring 2012 addition to these genres is Melon. The Pencil Sketch is the ideal PrÃªt solution with sharp tailoring reflecting simplicity and draped chic, it offers the versatility of day to evening wear. Made from sheer muslins, flowing linens, crisp karandis and woven fabrics, these outfits are delicately embellished with embroidery to lift the overall design. It is a line for women who do not have time to make trips to tailor. The Pencil Sketch is the daily-wear solution; contemporary, original, sophisticated and comfortable. Jamun is a formal collection, that brings colours, flavours and unique textures that can be felt. Vibrance and luxury rolled into an exciting palette, it dresses one for any and all celebrations. This glamorous line drapes in impeccably cut and intricately embellished pure silks and chiffons. Jamun brings formal wear that is all about exquisite luxury, style and sophistication. Regalia gives life to dreams with luxurious silks, royal jamavars and flowing chiffons on a canvas with fine traditional crafts that transform material to mystical magic. From bridal wear to wedding wear, these compositions offer stylized solutions, exclusive outfits that are uniquely designed and finished to perfection. Regalia, is all about breath-taking outfits that defy everything ordinary. Sweet Peas is specially designed for little Divas, bringing tasteful fashion that is comfortable and wearable yet consistently current. Sweet Peas pampers and nurtures the little ones to become future style icons. Melon is a contemporary and classic western line featuring smart casual tops and tunics in cottons, linens muslins and chic little numbers in chiffon. It brings freshness, vibrancy and energy to your days and an allure to your nights. 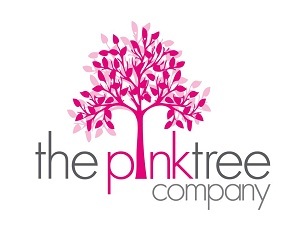 The PinkTree Company has many more product lines in its plantation stage. From furniture to home furnishings, bed and table linen, The PinkTree will have fruits to suit your taste. Visit our Events page for latest stock updates.